Whether you love exercise, or you hate it, most people will have considered exercise as a bit of a chore at some point in time. But what if we told you that you could enjoy exercise while bonding with your dog? If you own a dog, you will understand that owning one comes with walking them and training them. If you upped your game just a little, you could also be benefiting from these activities with them. So, how do you get fit with your dog? We have compiled our top five ways to get fit with your dog so you can bond together while enjoying exercise! If you know the type of exercise that suits you best, click the links below to find out more. The first step to dog walks is understanding how much walking your dog actually needs. No matter the breed of dog you own, they will need to be walked at some point during the day. Depending on the breed, health and age, your dog may have different walking needs to other dogs. Certain breeds, such as Border Collies, are renowned for needing longer walks to burn off energy and keep their brain working. It’s often the case that smaller breeds, such as Shih Tzus, only need one shorter walk a day to get the exercise they need. However, all dogs are different, and some may love long walks even if their breed defines them as a dog who only needs a short walk. If you are a novice to exercise or can only participate in low impact exercise, then dog walking could be the perfect start for you. Dog walking is a great way for both you and your dog to get some light exercise. You can burn off calories steadily and can also benefit mentally from just being outside and at one with nature. Be sure to take your dog on a route that is suitable for both of your capabilities. 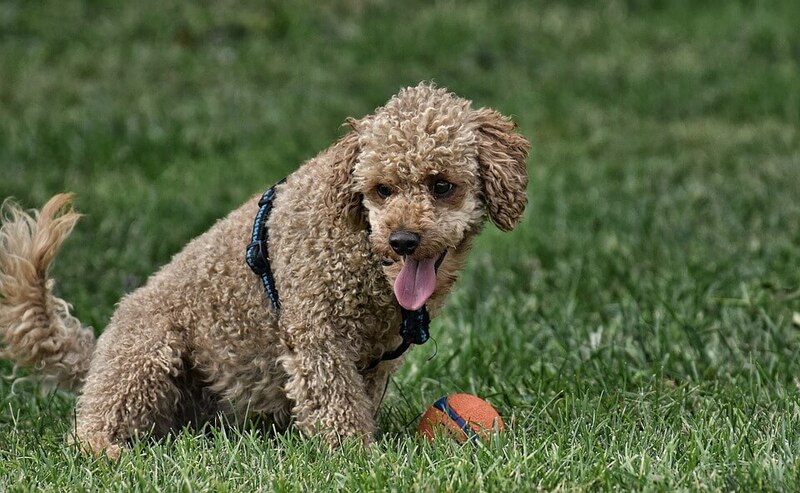 Whether this is just walking around a local playing field or walking down the street, low impact exercise is a great way to start getting fit with your dog. If your dog likes to run but you can’t keep up the pace, using a retractable dog lead can give your dog the freedom they desire but allows you to keep them under control. A daily low-impact walk can help keep both you and your dog fit, helping to maintain your dog’s weight at a healthy level. Dogs love to go on walks so they can sniff around and take in all the different sights. They may also love to meet other doggies on the way. If you know your dog’s capabilities as well as your own, a great way to get fit with your dog is to go hiking. Your dog will love running around the hills, digging in the mud or jumping in lakes as you walk through the nature. Make sure that you keep an eye on your dog at all times if you decide to let them off their lead. You may have to run or jump after them if they go a little AWOL. Hiking is an enjoyable way to steadily increase your exercise capabilities. Make sure to wear appropriate shoes and clothing. Warm up properly before you decide to go for a strenuous walk with your dog. Another way that dog walking can be made fun is by joining a dog walking club! There may be a group in your area that all walk their dogs together or maybe you have some friends who own dogs. It’s an enjoyable way to exercise and bond together, and with each other’s dogs too. If dog walking is a little too easy for you, then why not take up dog running? You can run or jog with your dog as long as they feel up to it. Test your dog’s fitness by going for a fast walk and gradually increase the pace until they feel comfortable running alongside you. If you have a super active dog, it may be the case that they end up pulling you along! Make sure to keep in charge of the pace and let your dog know that you’re the one taking them for a run, not the other way around. Wear proper running attire, including trainers and clothing, and carry a water bottle with you in case you or your dog would like a drink during the jogging session. If you use a fitness tracker, why not get one for your dog too? A dog activity tracker helps you to see how active your dog really is ultimately helping you to give the best care at the right time. There are other ways to get fit with your dog other than walking or running. Getting fit with your dog by your side can be as simple as training them in your garden. Playing fetch with tennis balls, hide and seek and sit and stay are all ways you can run around the garden with your dog while testing their brain training skills. Sit and stay is the perfect way to teach your dog some obedience skills while getting your heartbeat racing. Start by telling your dog to sit and tell them to ‘stay’ while showing them a particular movement, such as pointing your finger at them or putting your hand up in a ‘stop’ position, then move slightly backwards. Each time you do this, move further and further away before telling them to ‘come’. Eventually, you will be able to play a quick game of ‘sit and stay’, by telling them to ‘stay’, running to the end of the garden then telling them to ‘come’ and repeat. If you don’t have a large garden, you can play these games while you are out on a local playing field or a safe open space while taking your dog for a walk. All breeds of dogs can do agility training (some may just be a little better at it than others!). Whether it’s running through a tunnel, jumping over fences or weaving in between poles, it’s possible to teach your clever little dog some agility skills. 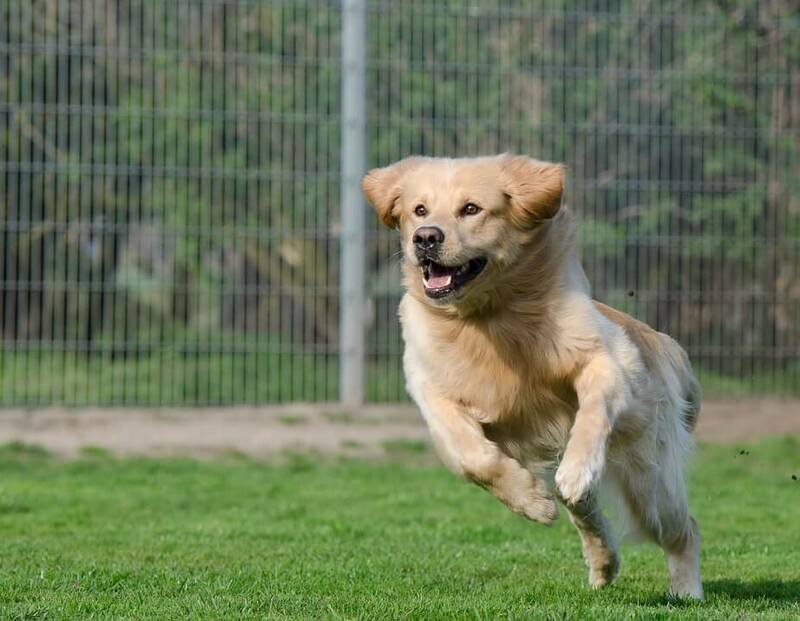 Agility is said to be beneficial for dogs, as it mimics their natural instincts of how they would have to act in the wild while chasing prey and hunting. As well as burning off some of your dog’s excess energy, you will also benefit by getting gradually fitter as you run along after your dog throughout the course you have set up. As with most training activities, agility training can help build on the bond you have created with your pet. This is because many elements of the courses rely on you being able to communicate with your dog with both verbal and non-verbal signals to overcome obstacles and navigate your dog’s way around the course. You can start agility training at home with simple training such as jumping over low obstacles or running up and down slopes. Once you are confident your dog has a knack for agility training, you could take him or her to an agility training course near you! This way you will both learn the ins and outs of agility and get fitter along the way. Dog yoga, or ‘Doga’ as it is also known, has grown in popularity in recent years. It’s a way to feel zen and practise light exercise as well as forming a greater bond with your dog. Dog yoga may not work for every breed, but if you get a sense from your dog that they’d like to join in, why not give it a go? Start by practising yoga in the same room as your dog and see if they lay beside you or show interest in any way. Make sure your dog is feeling relaxed and happy at all times. If you feel as though your dog is uncomfortable or would rather be left alone, make sure to do so. You can involve your dog in dog yoga in two ways. One way is to use your dog as the object. For example, your dog may get involved by resting on you as you do an Upward Bow. Always take great care not to drop your dog if you become unbalanced! The other way your dog can get involved in yoga is as your partner. This is when you do poses that your dog can copy. We’ve heard that a dog’s favourite yoga position is the Downward Dog (we wonder why!). As with all exercise, make sure that your dog is happy and comfortable joining in with you. You don’t want to cause any unnecessary harm or injuries to your pet. Make sure your dog is protected by having insurance. Visit www.argospetinsurance.co.uk for more information. So, there you have it! Our top 5 ways to get fit with your dog. If you love to exercise with your dog, be sure to take a picture with them and post it on the Argos Pet Insurance Facebook wall! 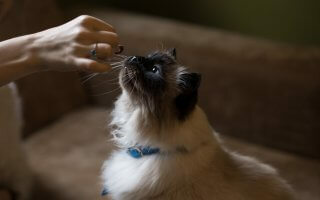 We love to see you and your pets having fun and staying healthy together.